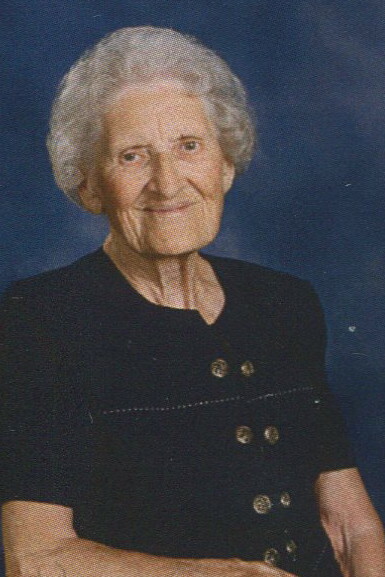 WOODRUFF- Gladys Fleming Ball, 95, of 475 East Georgia Street went home to be with the Lord, Wednesday, April 3, 2019 at Woodruff Manor. A native of Spartanburg County, she was the daughter of the late Jessie James and Annie Mae Turner Fleming and was the widow of Charles Edward Ball. She was a retired textile employee with Inman Mills and was a member of the Woodruff Church of God. Surviving are one daughter and son-in-law, Sandra and Donald Tucker of the home; one sister, Geraldine Seymore of Whitmire; one grandson, Scott (Jackie) Tucker of San Antonio, Texas; 2 great grandchildren, Caleb Tucker and Leanna Tucker. She was predeceased by three sisters, Juanita Maybin, Ponnese Garber and Ann Clevenger and six brothers, James Fleming, John Fleming, Roy Fleming, Franklin Fleming, Jessie Fleming and Harold Fleming. Funeral services will be conducted Saturday, April 6, 2019 at 11:00 a.m. at the Woodruff Church of God by Rev. Jonathan Knight and Rev. James Shealy. Interment will follow in Greenhaven Memorial Gardens with a committal by Rev. Buster Ball. Visitation will be held from 10:00 a.m. to 10:45 a.m. prior to the service in the church sanctuary. In lieu of flowers memorial contributions may be made to the Woodruff Church of God Building Fund, P.O. Box 275, Woodruff, S.C. 29388 or Spartanburg Regional Hospice, 1530 Drayton Road, Spartanburg, S.C. 29307.